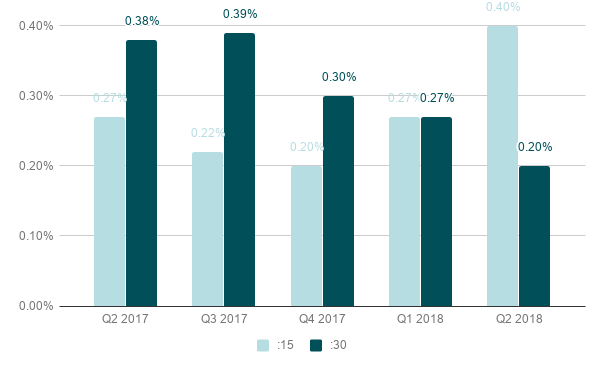 The Click-Through Rate remained steady for premium publishers in Q2 with a very slight increase over Q1. 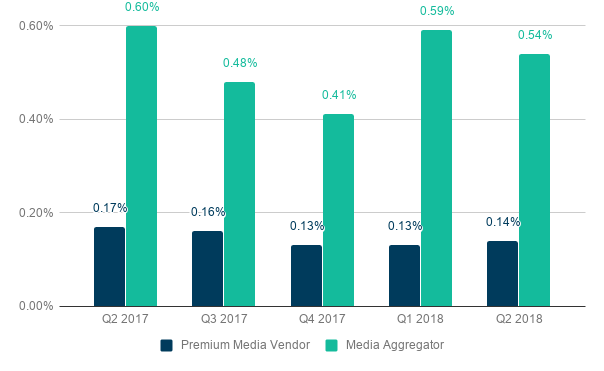 The rate for aggregators, while much higher than that of premium sites, saw a slight decline in Q2 from Q1. Marketers, particularly on premium sites, seem to be focused on engagement with their ads as a leading KPI, deprioritizing clicks away from their brand stories. Keep in mind that the fluctuation in these numbers is small, as all percentages are under 1%. 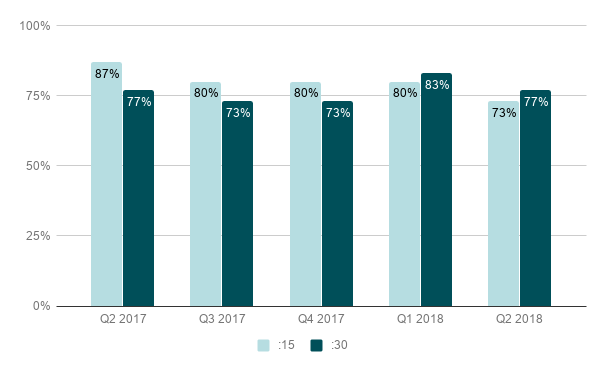 The Click-Through Rate for 15-second ads increased significantly in Q2, far surpassing that for 30-second spots, indicating that viewers are less likely to click away from content during longer spots. 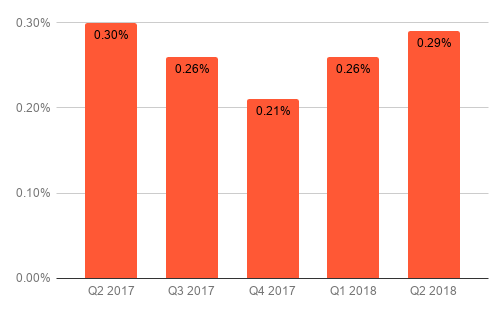 CTR for 15-second ads rose to .40% in Q2 2018 from .27% in both Q2 2017 and Q1 2018. 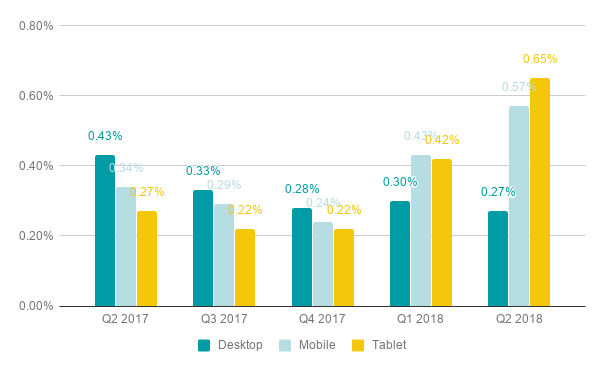 Desktop is the one device that saw a decline in Click-Through Rates from Q1 to Q2.  Rates for mobile and tablet both increased.